Once a dominant force in the bathhouse industry with five bathhouses, Chariots will now only have one in Vauxhall. 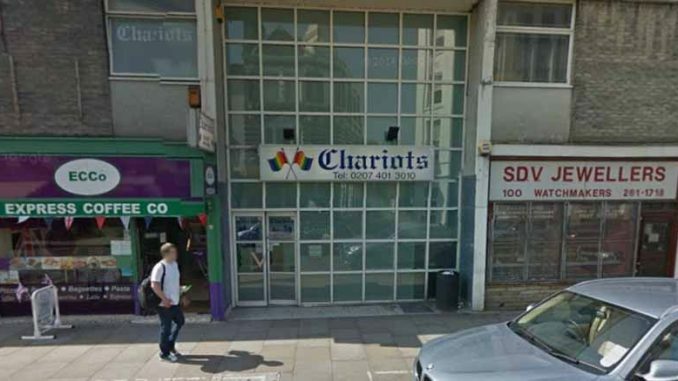 Chariots in Shoreditch was shut down in February 2016 to make way for a 200-room hotel. The Streatham branch was also shut down abruptly in the same month. In Limehouse, it was sold to a new owner and converted into a Sailors sauna.